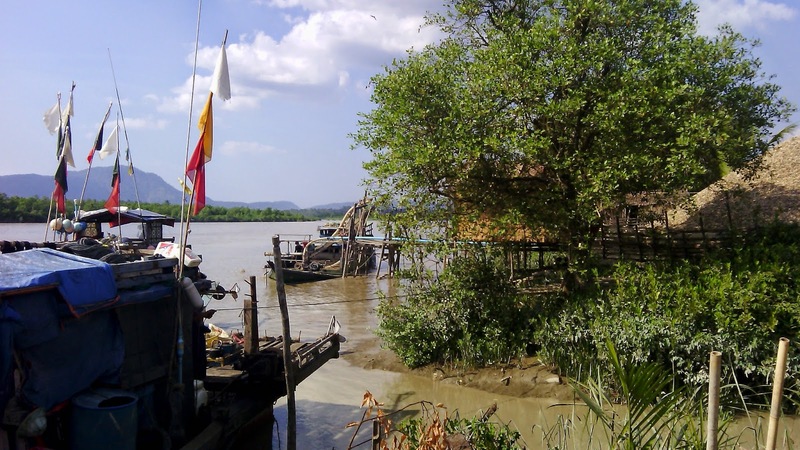 The big rivers of Myanmar move enormous amounts of silt. Their water is brown and their banks muddy. Some of the land around the Gulf of Motama walks around, with erosion reducing land in some places and sedimentation creating new lands elsewhere. Both processes create issues. Reduction of arable land and increased salinization on the one hand and conflicts over land rights on the newly established flats on the other. 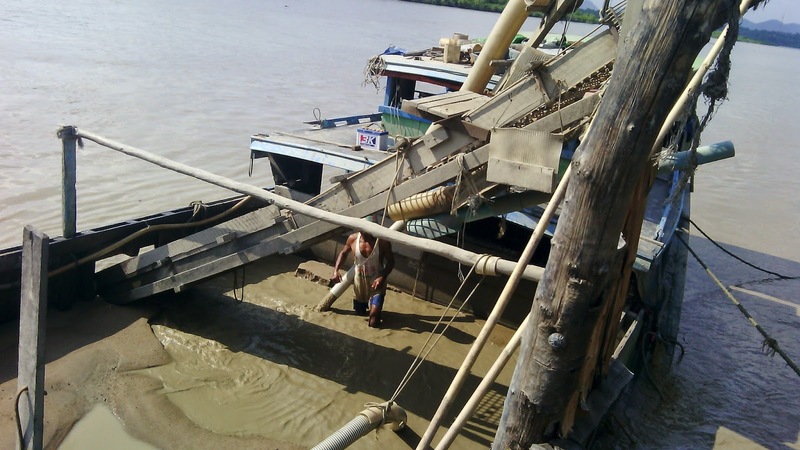 The silt also creates a small-scale sand industry. Take a 40 foot wooden boat, build up the sides, add a powerful pump with an associated 10-inch hose system and you are in business. To load you sail into the stream and lower your hose to the river bed. Then you start your engine and pump the sand slurry up and over an on-board sluice to capturing any gravel you may have picked up. The sand settles in the ship’s hold and the water sloshes over the side back in the river. As the boat fills with sand and gravel, it settles deeper in the water; you return to shore when only the prow and stern are still visible. To unload, you reverse the process: you pump water into the hold to recreate a slurry and you pump that into a small dyked area. The sand settles there and the water runs back in the river. It is high quality sand, fine and uniform in shape. The gravel less so: it often needs to be shifted at the ultimate jobsite.